Many who come to the Poole Windsurfing School ask what wetsuit they should buy for windsurfing, if there is a specific type especially for the sport and what they should look for in terms of features, thickness, etc. Now a days the good news is pretty much every wetsuit manufacturer makes a range that can be used for any watersport, including windsurfing. Also the advancements in materials used, specially the neoprene have come a long way, making wetsuits feel almost like a second skin. Gone are the super stiff, inflexible wetsuits of the 80’s & early 90’s! 1. What is your height, weight & other measurements – each wetsuit manufacturer now has very specific sizing charts to help you get an exact fit for your wetsuit. You can even get tailored sizes, for instance, ‘Medium Small’ or ‘Large Tall’ which cater for all shapes & sizes. 2. What times of year are you going to be windsurfing – be realistic with when you are going to be going out windsurfing. Bear in mind that this is the UK and only the very hardy (or stupid) go out over the winter months. The vast majority of us windsurfers in the UK go out on the water between May-October which would suggest a spring/summer wetsuit should do the job. 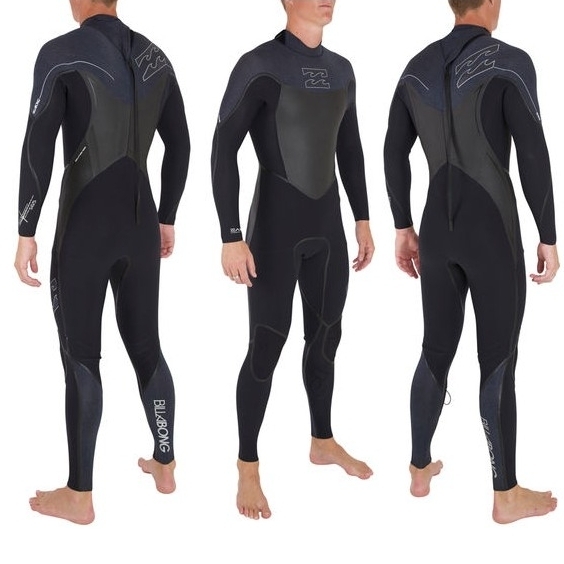 To a large degree the warmth of a wetsuit is determined by the thickness of the neoprene. A spring/summer wetsuit is generally considered to be 3mm/2mm, which means 3mm thickness on the body & only 2mm thickness on the arms and the legs. This gives warmth to your vital organs whilst allowing your extremities freedom of movement with a thinner, more flexible neoprene. Your classic winter wetsuit is 5mm/3mm, giving 5mm of warmth to the core areas of your body & a thinner 3mm for flexibility of the arms and legs. The stretch and flex of a winter grade wetsuit has got a lot better over the years but you should still only buy this type of wetsuit if you are going to be windsurfing over the winter months. In the summer you would be losing the nice flexible light feeling of a summer wetsuit and it would feel like you are being slow boiled! The are any number of combinations of short arms/long legs, long legs/short arms, detachable arms, long johns, wetsuits with hoods, all of which mean you can further tailor your windsurf wetsuit to give warmth/flexibility exactly where you want it. 3. How much are you willing to spend? – like everything you buy, you can go cheap & cheerful, mid range or high tech expensive! When choosing your price point consider how often you are going to be using your wetsuit & in what temperatures/conditions. You really do get what you pay for when it comes to windsurf wetsuits. The basic models have flatlock stitching which makes small holes in the wetsuit seams. This is a cheap way of constructing a wetsuit but it does let small amounts of water in through the seams. As you move up to mid price point wetsuits and beyond they use a construction technique called ‘glued & blind-stitched’. This keeps any water from entering the wetsuit via the seams, by not letting the stitching pierce the neoprene all the way through and then sealing the joins with a line of flexible neoprene glue. The top end wetsuits throw in additional fancy features such as solar warming elements, detachable hoods, firewall chest panels for maximum heat & lighter weight neoprene. If you have got the money then why not! So, that should give you a lot to think about when choosing the best wetsuit for windsurfing. In terms of brands, they are all really good now; Billabong, O’Neill, Quiksilver, Rip Curl, C-SKins, etc. The best thing is to try on similiar size/types of wetsuits from several different manufacturers and find out which brands’ shape & sizing fits you the best. Here at the Poole Windsurfing School we use Billabong wetsuits throughout our mens, ladies & kids ranges. They make some great quality wetsuits & have some of the most flexible neoprene on the market! 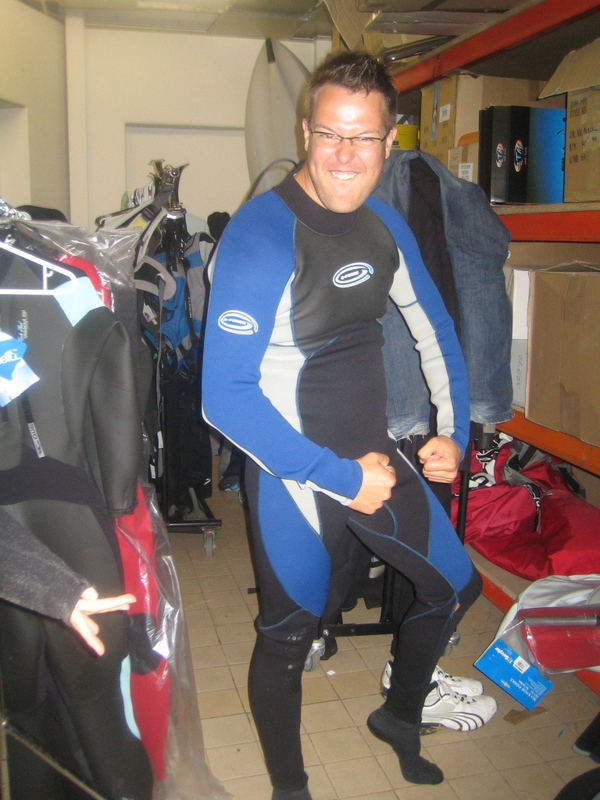 Happy shopping & with the right wetsuit even happier windsurfing!